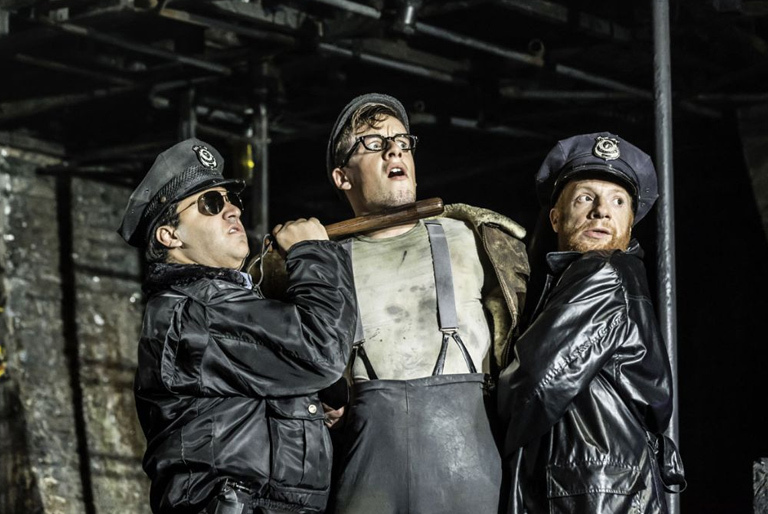 How can I describe…‘Urinetown’?! Mark Hollmann (music and lyrics) and Greg Kotis (book and lyrics) award winning show showers the audience with pee-related puns and takes the mickey out of its own love story and musical madness with gritty bravado. But you question whether you should be laughing and the whole show feels pretty dark, surreal and strange! 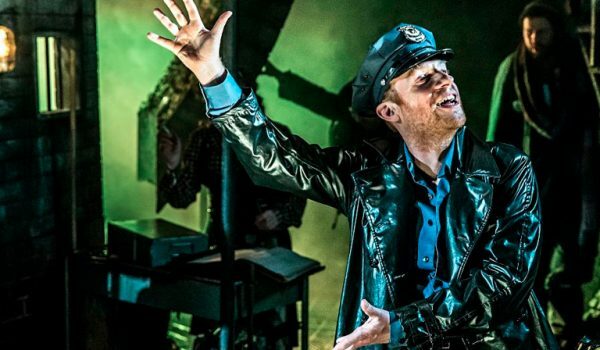 After a successful sell out run at St James Theatre, Victoria the show has transferred to the West End’s Apollo Theatre and is proving just as popular. 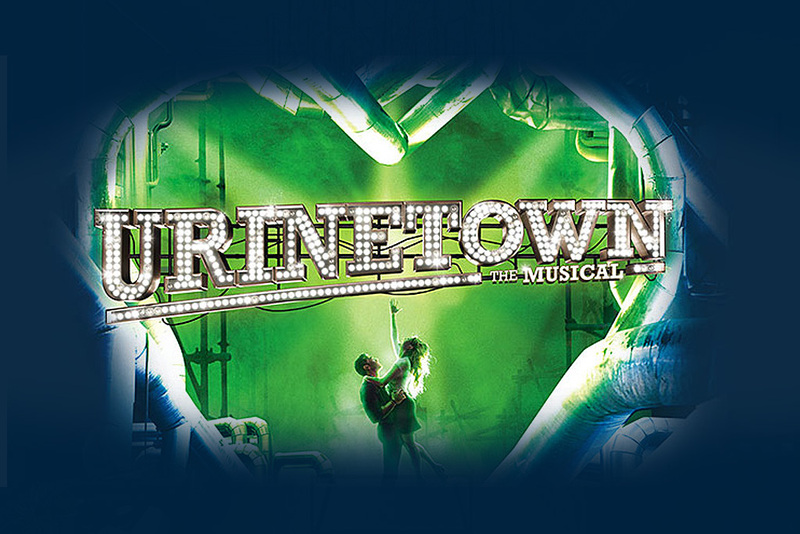 The musical is set in a dystopian future where water is scarce and community toilets are controlled by Urine Good Company and people are forced to pay to use the loo, definitely a different setting to any other West End show out there at the moment! There’s the Malthus screen guard before we even start and mentions of The Stink Years, not to mention the copy of An Essay on the Principle of Population wielded by Lockstock, the tale of Urinetown is very different to what I was expecting. When an uprising is led by handsome young toilet attendant Bobby Strong (Matthew Seadon-Young) – who falls in love with Hope (Rosanna Hyland), daughter of the head of UGC – the town’s money-grabbing elite are shaken and everything the townsfolk knew begins to change. 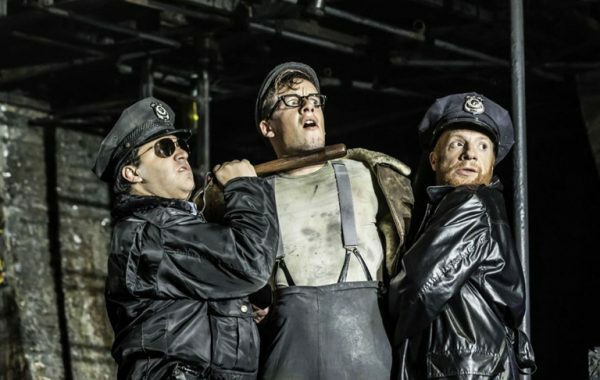 ‘Urinetown’ is an anti-musical. From the beginning, Jonathan Slinger’s sullen, snarling cop Officer Lockstock steps through the fourth wall to apologise for ridiculous plot oversights. 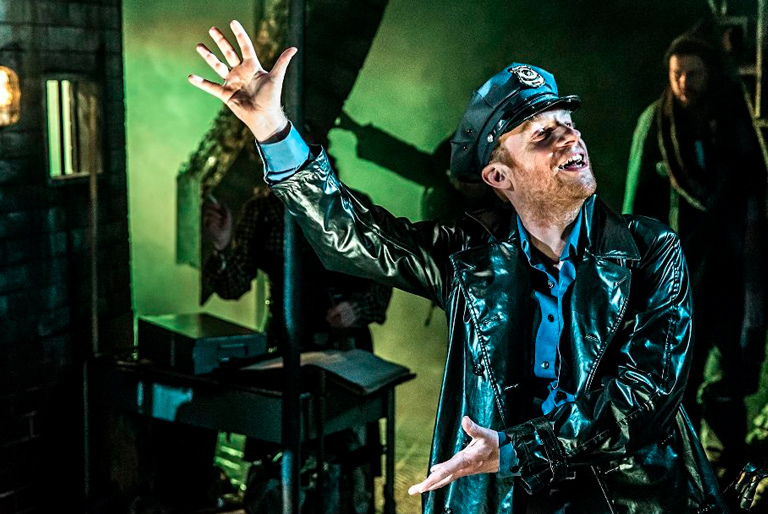 Jamie Lloyd’s slick production plays heavily on these elements: wry appeals to the audience and comic-book double takes abound – its musicals themselves that are the source of much of the show’s satire. Soutra Gilmour’s set designs are the height of sewer chic and you can almost smell the nastiness! Ann Yee’s robust, quirky and downright funny choreography helps add a touch of humour. Although there’s a lack of individual standout songs, the numbers are bold, big and best when the whole cast is singing. ‘It’s a Privilege to Pee’ is brilliantly rousing. The two lovers, Matthew Seadon-Young as Bobby and Rosanna Hyland as Hope, sing their numbers with pitch-perfect tongue-in-cheek humour. The cheeky energy of soul-tinged ‘Run, Freedom, Run’ in the second half makes it one of the best tunes for me and got the audience clapping along! Officer Lockstick is a highlight – his smile is horribly foreboding and I think without his narration the show could have really lacked punch. 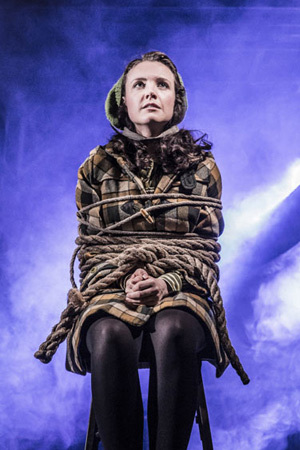 I really wanted to like this musical, plainly, other people have loved it. It enjoyed a healthy three-year run on Broadway, winning three Tony awards but for me it was very different and I just ask “what was the point and who is this show aimed at? 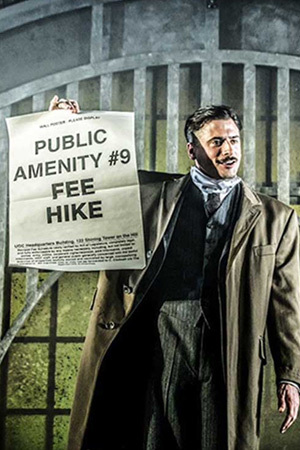 !” Go pay to pee if you so dare but be warned you don’t leave the theatre humming away the tunes or feeling happy just slightly disturbed!